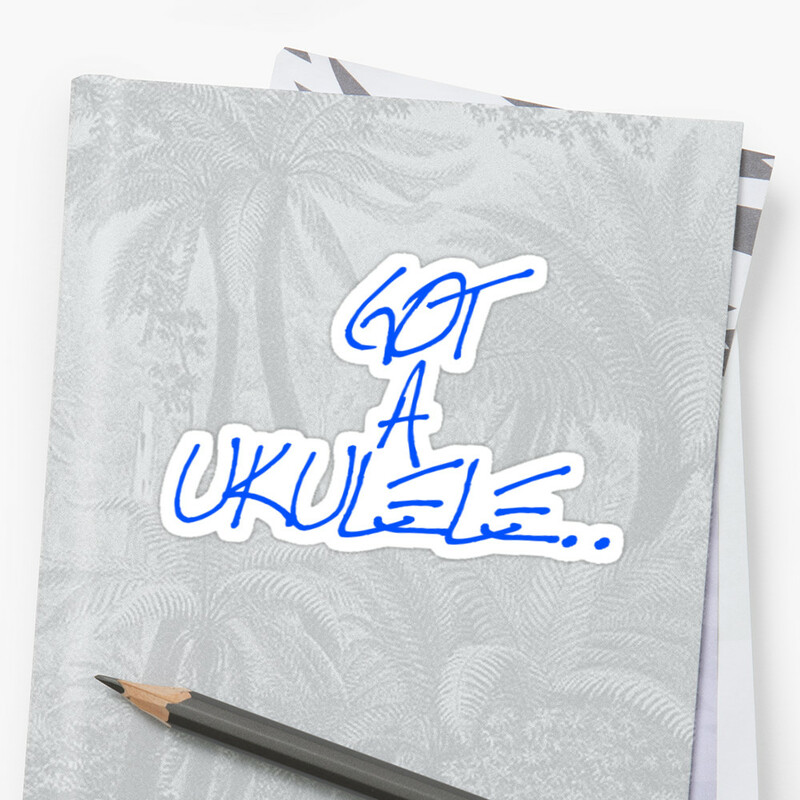 It's another return for 'High Pressure Laminate' on Got A Ukulele (you see I TOLD you there was going to be more of them!) with this attractively circular ukulele from Enya musical instruments - the EUR-X1. Enya are a Chinese ukulele brand that are 'fairly' new on the scene. 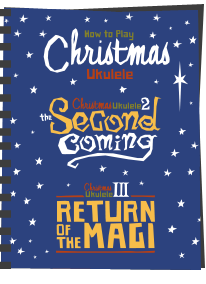 They are actually the same company behind Kaka ukuleles, which you may recall I wasn't particularly keen on, and not just for the name either. But lately I have been seeing some interesting and rather pretty instruments coming out under their main name, including a range of ukes made from HPL laminate called their 'X1 series'. 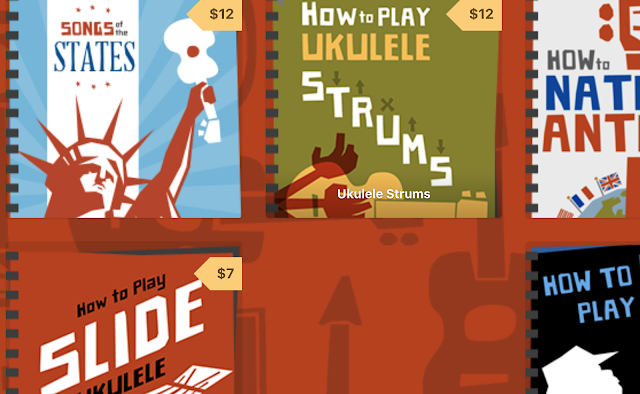 This was brought to my attention on the new I've Got A Ukulele Facebook Group and since it appeared people seem to have been going crazy for them! This one is the starter in the Enya HPL line up and is also one that was on a tremendous price offer in order to kick start interest. A REALLY tremendous price as you will see. The EUR-X1 is a soprano scale instrument that is completely round, reminiscent of the old Camp style instruments from the early 20th Century. The camp style goes back to the early 'camp uke's 1920s made by Lyon and Healy and subsequently Gretsch and have a very traditional and old fashioned look about them that I rather like. The body of this one is about 8.5" in diameter, totally round and quite shallow in depth top to back. The back is slightly arched and as I say the whole body is made from HPL with an outer Koa graphic. For those who don't know, HPL is the same formica material used in kitchen counter tops and contains no wood whatsoever (not even the outer image, that's a photograph) - it's made from sheets of paper in a resin. It's the same sort of material as used in the Martin 0X series ukuleles and in fact looking at the literature that comes with this one, Enya themselves confirm that this IS indeed 'Martin HPL'. So exactly the same stuff as the 0XK soprano ukulele is made from. Interesting. And like the 0X series from Martin, this one seems to be very tidily put together, with clean joints, chamfered edges and the telltale look of HPL on the top and back join giving the effect of a black binding strip. Sadly also like the Martin, they chose to go with a false wood look that I think is missing a trick. It's not wood, so don't pretend it is. Why not go a bit more crazy with the graphic? It could be anything at all after all! Bridge wise this is attractively shaped and made from rosewood in a 'through body' style. That means that the strings go through holes directly into the body where you tie knots in them to stop them pulling back through. It's a fiddly sort of arrangement for string changes, but is said to be good for alleviating unnecessary pressure on the bridge plate and pulling tension and hence vibration down into the top of the uke. The saddle is compensated and made from bone. Incidentally, Enya confirm that these bridges are now starting to change and will be made from Richlite - a paper composite as used by Blackbird Guitars and presumably as a way of avoiding CITES restrictions on the shipping of rosewood. I have no complaints with that as Richlite works well on the Clara, and is widely used by guitar makers like Gibson. 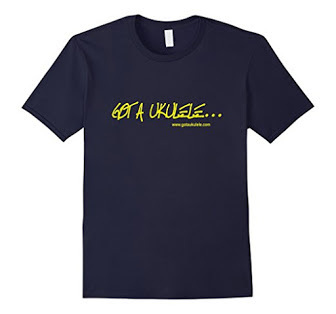 In fact, like HPL, I expect we will be seeing more of it all round in the ukulele world. A glance inside shows a very tidy build with delicate bracing, neat notched kerfing and no mess at all. Like the Martin 0X the inside shows off the real colour of HPL as a dull dark grey. the central back wooden strip has the Enya logo embossed into it, as does the neck block which is nice. Up to the neck and things start to get very interesting indeed. It's made from mahogany and in three pieces with a joint at the headstock and the heel. Nothing particularly interesting about that you may say, but read on. The neck is attached to the body in a pocket and held in place with a bolt arrangement. Only that bolt is not on the inside of the ukulele as normal, rather it's visible on the outside and doubles as a neck strap button. And that is deliberate because Enya supply these with an allen wrench that not only allows you to adjust the neck relief, but also allows you to remove the neck completely and swap it for another. I guess you might either want to do that in the event of a break or just because you want a different headstock. I have never seen that before on a ukulele and whilst I can't immediately think of a reason why I would personally want to swap necks, I must admit it's still kind of cool. Inside the neck is a carbon fibre strengthening rod too. 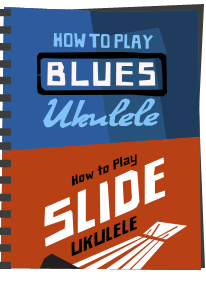 I am not entirely sure why as I cant imagine the tension on a ukulele means it needs it, but there you are. By the way, that neck strap button is complimented by another button the base of the ukulele. Topping this is a fretboard made of rosewood that is not edge bound but is very nicely finished and even has rolled fingerboard edges. It's fitted with a generous 16 nickel silver frets with 12 to the body joint. I am also advised that like the bridge these are changing to Richlite in due course. We have attractive star shaped position markers at the 5th, 7th, 10th and 12th made of inlaid wood and these are complimented with dots on the side. Another very interesting feature about the neck is it has a very slight radius to it. That is abolutely startling for an instrument of this sort of price. It's not a hugely noticeable radius, but it is there. A radius AND rolled edges. Wow. Beyond the bone nut we have a three pointed crown headstock (ugh..) and this is faced in a darker wood, but interesting doesn't seem to be HPL. It has the Enya logo inlaid in what looks like pale wood and I think looks quite attractive. Tuners are sadly open geared pegs and not friction and threfore look a bit large on a soprano. They are however a nice design with black plastic mounts, metal gears and small red plastic buttons. I'll let my deep rooted dislike of gears on sopranos slide on this one as I quite like the look of these. Completing the package is a mind boggling array of accessories. As well as the strings that come on it, you get a spare set. You also get a clip on tuner, a strap, a polishing cloth, an allen wrench for the neck, a capo, some picks, a rhythm ring shaker and some brochures all in a zip up leatherette pouch. The ukulele also comes with a really nice quality padded bag, a good thing considering the unusual shape. And the price will probably astound you. These were originally listed on Amazon (the only place to buy them at present I believe) with an RRP of £129, but are available on an introductory special price of £45. In the USA I have heard reports of fluctuating prices, with the latest being around $28 all in. Clearly that isn't a sustainable price and in due course these will be at a more realisting price point (and indeed Enya have confirmed that it WILL be going back to a more normal price at $95) Still, it's a killer price for now, and considering the sound construction and the fact the Martin HPL is about £350, I think even the RRP is a very good price. So let's get on to playing it. As I say, it's very well put together with no build issues I can spot anywhere. I will get one thing I really DON'T like out of the way first though, and that's the strings. They are apparently fluorocarbon, but they are incredibly low tension and feel just awful and floppy on the fingers. Looking at them more closely the gauges look very odd too with only the C string being noticeably different in width to any of the others. Very strange and I will be changing them. The instrument itself is light though and very nicely balanced. I really like the feel of HPL as I did on the Martin. It doesn't feel like wood, but then it doesnt feel like plastic either. It has a pleasing tactile matte coating to it that is rather pleasant. I spent some time looking for build flaws and honestly I can't find any that are obvious. 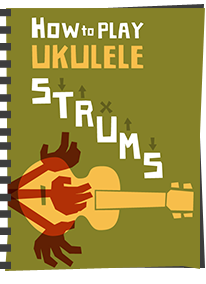 The uke is obvously a different shape than most and I must say camp ukuleles despite their roundness are normally a joy to hold. This one though has the bridge right down at the end of the body. That means the arm that tends to cradle the ukulele is immediately pressing onto the bridge and is a bit uncomfortable. It's not really an issue when playing seated, but standing you do notice it. This is definitely one to play with a strap I think, which I find odd for a soprano. Action at the nut and saddle on this one are both incredibly good. Really, just how I would like them. And as I say, the manual explains that tweaking the neck bolt can also adjust the relief and action up and down. I have not tried that, because as I say, this is how I would like it regardless, but it's good to know it can be done. Seriously though, the setup on this is one of the best I have seen out of the box and talking with other buyers this week, this seems to be common amongst others. That's great news. I'm pleased so far. Sadly, on the first strum I found something very disappointing. The instrument is seriously quiet. Not just slightly, but massively quiet. It's a real shame because the sound itself is really very nice for what it is. It's also surprising as the body materials seem thin enough, the box is resonant and the bracing doesnt seem to be heavy. In fact it's very like the Martin models which bark loudly if needed. My only guess (and it is just a guess) is that the bridge being set so far down the body is not driving vibration down into the most resonant part of the top. Tapping the top between the bridge and the soundhole and it's like a drum, yet tap it near the bridge and it isn't. And I think I might be right with this theory because I have heard reports of people swapping the strings on these to things like Martin fluorocarbons and it still being quiet. The string change improves the tension issue, but is not increasing the volume at all. I was going to do a follow up video to the one below with a string change, but having seen there is little change, there doesn't seem a lot of point. The volume IS an issue and you should be aware of that. One other thing that is noticeable is you can get the best volume out of it if you play it kind of away from your body on the back and without resting too much arm on the top. Again, using a strap can help with that. Still, you shouldn't have to and it's still very quiet regardless. But volume aside though, it IS a pleasant, jangly sound, full of character and this has had me thinking of the benefits of tonal character against volume. What would I rather have if given the choice of one or the other? It's hard to say, but I am not personally in the market for a quiet uke and want a instrument to have some bite when needed. So my view is, at this sort of price then why not? I think this will make a great travel / camping / practice uke. Just don't expect super power I suppose. And scoring this one was a challenge because I KNOW the price will be going back up soon. But like I say, even at $100 or so, I still think i'd like this one because there is just 'something' fun about it, even without the volume. So I have broken with tradition and there are two end scores below reflecting the current and higher price point. They are actually not that much different in the scheme of things, and that's because most of the other stuff that matter is highly rated. So it's recommended either way I say, and most certainly at the low price, but only if you can live with low volume. Now strung with Martin Fluorocarbon strings. The string tension is MUCH improved, and therefore the play feel. Volume slightly increased, but only slightly and not enough to make a noticeable difference on a video. I am seeing a number of people online incorrectly stating that these have 'gone up' in price. They haven't - read the review. The low price was a one of introductory special. The real price of these is $95 or so in the USA. That IS the correct price. Please refrain from saying they hiked the price. They didn't! It just reverted back to where it always was. It's called a 'sale'. Nice tuners, even if they are gears! Killer price (at the reduced price that is!!) Although, the RRP is still pretty good value. Like the Martin - why the false wood look? Be bold Enya! HPL is typically 0.7mm - 1.0mm thick. It therefore requires to be bonded to a substrate otherwise it would be too flimsy and brittle to make a ukulele out of. What substrate has this laminate been bonded to? There are links to both in the written review? It really does look very well made and it would be way better than the very poor plastic uke I currently take camping. I'm sure lots of people will buy one to have something different in their collection. It'd be great if you did a post script to this review once you've changed strings. Ed - not a huge amout to say - put Martin strings on it. Tension is much improved. Tone is the same, sadly, so is the volume. Still like it though! Excellent review...I would get one today if the $28 ones were still available. In the market for something to replace my dolphin in a soprano size for playing around the house. The quiet doesn't bug me since I mostly get to practice when the kids go to sleep; might even be a benefit. If the price heads back up though, and prices start looking the same, would you go ohana with a professional set up, or one of these off the internet? I came close to ordering a laminate Kiwaya recently. They don't say they're HPL, but with their quality, I'm suspecting. Great review and managed to find still available so ordered via Amazon (UK). It will be good addition to collection and ideal for leaving in car boot for travel. JUST A NOTE Barry... you mention low volume and "possibly" due to bridge being placed low down to bottom of uke. I have a KALA KA-15S soprano and this is similar idea with bridge fixed lower down but I just love the low volume and tone of it. Thanks for in depth review on the Enya anyway, I'm looking forward to it arriving. After plentiful discussion on the FB group (which might soon end up getting renamed "Enya EUR-X1 Buyers' Club" :-P ), I ordered one over the weekend, along with a set of Martin fluorocarbons. For the kind of uses I see myself putting this uke to - songwriting, demo-recording (where I'd probably close-mike this little chap) and playing in places where I'd want to keep the noise down - I suspect the quietness may well be an asset to me rather than a liability. Still, at this price, I felt I'd almost be mad not to! Hi Barry. I've read that a few people with a "through the body" bridge put a small bead on the string to prevent it pulling out. Do you see any merit in this rather than just a good knot or could it cause unwanted vibrations ? I personally don't but only as I find it quicker to just tie big knots! How do you change he strings? Well, I bought one of these. I like the strings too and I have Martin strings on most of my other ukes ! It is quiet, so what ! Partly this may be because of the low action ? I'm noticed lowing the action on some ukes does cause a lowing of volume. Major plus for me is that this soprano is a couple of inches shorter than other sopranos and fits into my regulation size ryanair cabin luggage ! Anybody want as Ohana sk38 with the top of the headstock sawn off ? I watched this review last night after one or two beers. Lo and behold this morning I wake up to an email from Amazon confirming my order... Thanks Baz! It does seem to be a great deal at the current price. Within five minutes of watching the YouTube review I ordered one from Amazon. Took almost a week to arrive but was well worth the wait. Certainly just under £50 well spent. What a lovely instrument. Absolutely delighted with it. In the confines of my music room the volume is perfect and I even like the strings it came with. One of the best uke impulse purchases I've made. Hi I just got one of these for £20 on Amazon and I have to say I'm gobsmacked at the value. The strings do feel very strange but so far have held tuning well. I'm a novice ukulele player but it sounds better than the mahogany laminate uk that cost me £50 AND quite frankly it's worth £20 for the case and accessories alone. I actually expected an Enya copy given the price but it's the real deal and for £20 You cannot go wrong. It will certainly last longer than the 5 pints I could buy at the pub instead! Wow. £20! Just received mine from Amazon UK. Even better than expected. Sounds nice, looks cute, loud enough. My new in the car, knockabout uke. Are the frets normal soprano size? From the photos it looks to have more frets & they look slightly wider than my kala & baton rouge sopranos. Thanks. Another lucky punter getting one for £20..
Would I pay more? probably not... I purchased this ‘because’ it was £20. I spent more on my Chinese takeaway on the same night! So. overall? : Well, I am very impressed. I usually play higher end ukuleles but this is a fun ukulele. It looks OK, plays really well and is certainly worth more than what I paid. Even my wife liked it. It holds tune, yes a little quiet but actually really nice sound (and good intonation). the edges of the body are sharp but ill deal with that! I plan to change the strings to get better tension. Even tempted to stick an electro pickup in! will be taking it on holiday next week... why not? I read all the comments on this Enya and seeing them on Amazon for £20 I couldn't resist. It was delivered yesterday and I must say I am amazed how good it is. 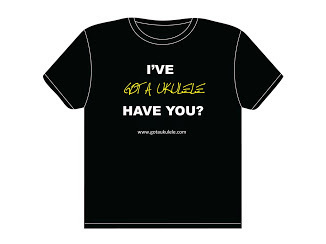 Yes, it is a bit quiet but it's perfectly good for playing at home, and I've got other ukes to play at uke club or gigs. I didn't find the strings that bad - I've played worse, but I swapped them for a set of Aquila Supers which I had lying around, and it sounds very nice. The action is pretty much perfect straight out of the box. Comes with a neat little tuner, spare strings, a capo (which I've never owned before), picks (which I don't use) a weird little "finger rattle" (now that's quiet), a very nice strap and a really good quality padded gig-bag. I've paid considerably more for a gig-bag on its own which isn't any better than this one. This is an amazing bargain. I haven't put it down since it arrived. I wouldn't have bought one of these at £48 which is what they cost last year, but £20? It's a no-brainer as they say. The day after I ordered mine the price leapt to £22 and the day after that they were "currently unavailable" I'm not surprised. It's currently on Amazon.com at 91 USD. I was aware of your admonition about being very quiet, but considering the other positive comments you made about it, I went ahead and purchased one on Amazon. After using it for several weeks I have finally found a fitting purpose for it: It will make a wonderful wall clock when I add the mechanism. I was tempted to buy the Eddy Finn Moon competitive model, but I didn't like the less wide nut width. To sum up my thoughts on this thing, I'll borrow one of your British phrases: Bloody Awful!